Instagram is one of the most popular social media platforms in the world, with over 1 billion people monthly active users. In this article, HammaJack’s Professional Placement Student, Hannah Tempany investigates why businesses should be on this fast-growing, accessible and easy-to-use social media platform. Getting found on Google can be tough - but it doesn’t have to be. In this article, HJ’s co-founder Ian Hammond writes about how we do content strategy at HammaJack and it’s so simple it probably shouldn’t work — but it does. We’ve already written about the magic of HubSpot and how to track form submissions from a HubSpot form into Google Analytics. However, sometimes it’s better to have an installation guide. In this guide, Data Lead, Jacob Moran, will provide a how-to installation guide and a free Google Tag Manager container that will track your website into HubSpot and your HubSpot forms into Google Analytics. How you structure your site is one of the most important things to consider when you are planning on launching a new website. Getting it right makes it easier to keep the content fresh, and makes it easier for site visitors to get what they want. In tangible terms, the right structure can mean fewer hours in having to create and update content, more conversions and more organic traffic. In this article, HammaJack’s co-founder and Content lead, Ian Hammond and Professional Placement Student, Louis Devine unpack the pros and cons of the three main approaches. Back in 2008 Google decided to allow alcohol advertisers to advertise their products directly with Google Ads. In this article HammaJack co-founder, Jacob Moran outlines what alcohol advertisers can and can’t do when advertising with Google Ads. Nov 28 What Are Backlinks in SEO And Why Do They Matter? In this article, HammaJack’s Honours and Communication Professional Placement student, Louis Devine explains what internal and external backlinks are and why they matter. 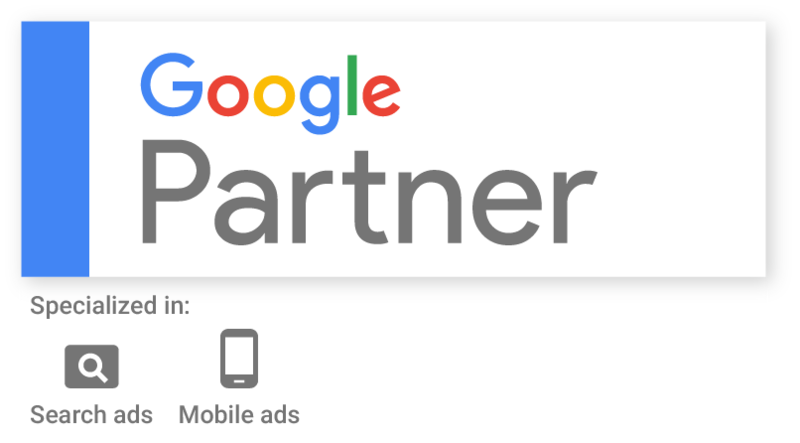 In this article HammaJack data analyst, Jose Arevalo explains the benefits, opportunities and challenges to take advantages of Google Call-Only Ads. In this article, HammaJack’s Honours and Communication Professional Placement, Louis Devine tries to explain the ins and outs of branded search terms versus non branded search terms. Sep 20 Where Did All My Traffic Go In August 2018? Following on from some strange reports from a few prospective clients about their leads disappearing over the last few weeks, HammaJack’s co-founder, Ian Hammond set out to investigate. Google My Business is an excellent and free tool that allows businesses to present an amazing search experience for their users. However, it is more geared towards businesses that directly serve consumers, so how should businesses who provide services to other businesses utilise it? In this article, HammaJack co-founder Jacob Moran provides a quick checklist of what businesses should do to keep their GMB listing looking fresh. Measurement plans are super important, and every business from a local gym to a worldwide conglomerate should have one. But the way in which they are created can, and should, be different. In this article, HammaJack co-founder Jacob Moran discusses the different types of measurement plans. Aug 24 What Is The Difference Between SEM and SEO? Ever wondered what’s the difference between Search Engine Optimisation and Search Engine Marketing? The easy, and short answer is: SEO is free you don’t have to pay for SEO and you do for SEM. The long answer is a little more complicated (always is! ), however, despite having similar features, they have completely different strategies and approaches. HammaJack’s Ian Hammond has tried to outline a few of the key differences in this article. Ever wondered what to do with tags and categories in blogging platforms? Not only can they help you catalogue your content, they can also make it easier to surface content throughout your site and help with SEO. Looking to learn SEO? With an ever changing algorithm and years of tactics and strategies to catch up on, director and HammaJack CEO Ian Hammond, has outlined a brief approach and a few resources that he’s used online and mostly free resources to learn SEO.